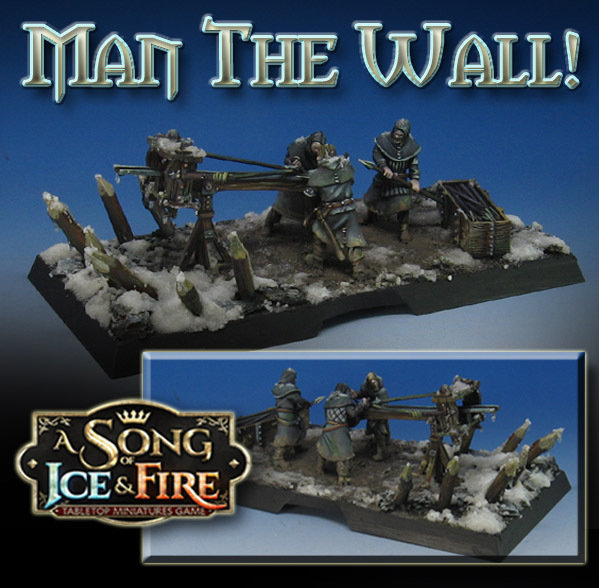 I am really excited about painting the Knight's Watch army for the Song of Ice and Fire miniatures game! 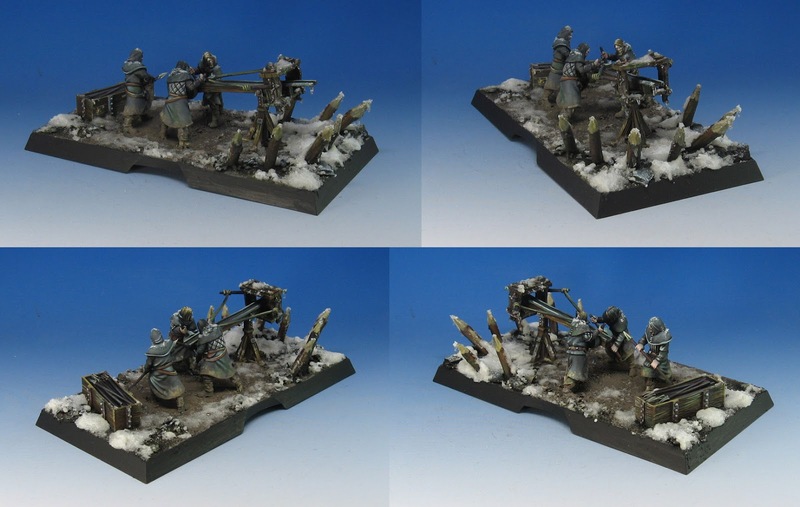 After making 2 winter armies for Bolt Action, I have plenty of possible techniques and materials at hand. 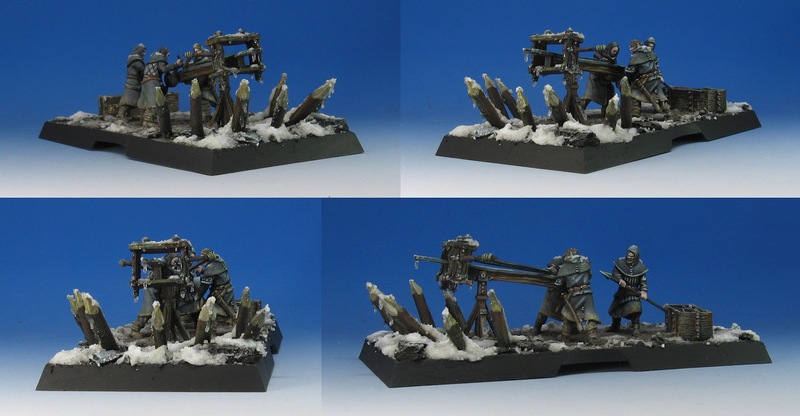 This example of the Scorpion Bolt thrower combines many of those materials and techniques to create the mud, melted snow, and even the icicles! 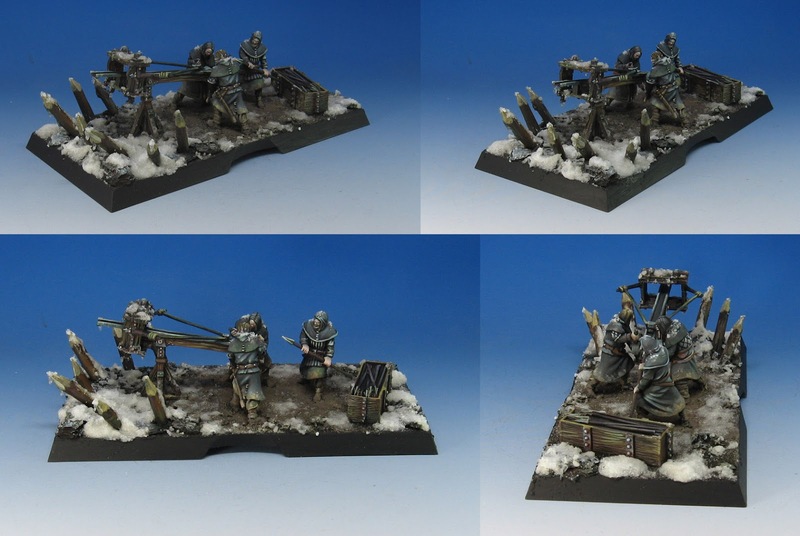 There are products from Secret Weapon Miniatures, Woodland Scenics, Mig Ammo, and more. I really wanted to have that slushy snow/mud mix where the crew have been moving around, with the less trampled snow around the edges. Finally, the icicles were just too much to resist! Most of the Knight's Watch painting tutorials will be for my patrons, both at the $5 entry level and much more at the $15 Army Painting level. That is where I take you through the entire process of painting a unit, from initial basing to the finished painting (usually about 5 episodes and 10-12 hours of videos!). The first unit I will tackle are the Ranger Hunters, but I will also be doing a video on the second Scorpion and crew! Here is a link to the page... right now the final episode in the Lannister Halberds series is in production! You can Wear the Black too!